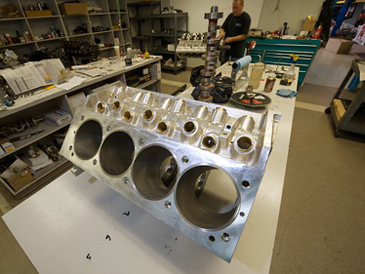 Holbrook Racing Engines Specializes in Cylinder Heads – Air flow development, Mill Heads, Valve Jobs – Guides & Sets. We’ve based our claim to fame on extraordinary horsepower to cubic inch numbers. No matter what your specific needs are, we will assure you are satisfied with the power increases we will find. If it don’t flow, it don’t go! Airflow development is the cornerstone of our business. 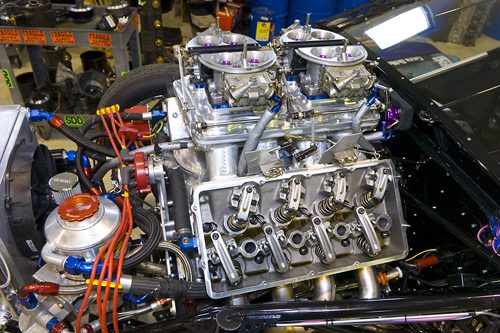 Holbrook Racing Engines has based its’ claim to fame on extraordinary horsepower to cubic inch numbers. 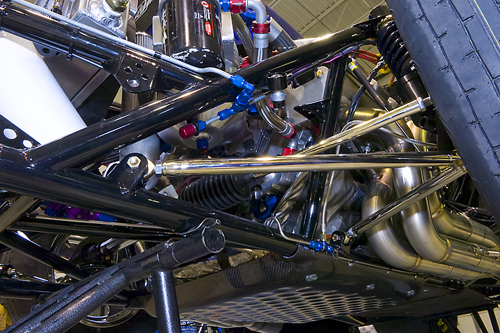 We’ve been racing for over five decades, researching what really works. When it comes to maximizing airflow for a given class structure, we have come up with some very interesting solutions. Darren Mag races in the Milan Heads Up series in All Motor Class. The rules only allow a cast manifold. We cut Darren’s cast manifold into 24 pieces to port it the way we wanted and welded it back together. The results were quite impressive. No matter what your specific needs are, we will assure you’re satisfied with the power increases we will find. The Serdi 100 HD we use for valve work features a two way air cushion system for the workhead, with a high torque 2.2 KW motor. The air cushioned table is large enough to hold the biggest Hemi heads you might have. The cost to have our technicians install bronze valve guides starts at $280.00 a pair (labor only, parts, canted valve and Hemi heads are an additional charge). 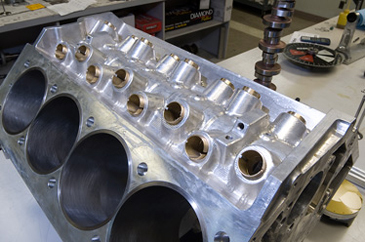 Holbrook Racing Engines can install hard valve seats for you. The Serdi 100 HD we use for valve work features a two way air cushion system for the workhead, with a high torque 2.2 KW motor. The air cushioned table is large enough to hold the biggest Hemi heads you might have. 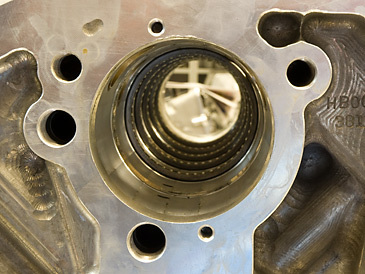 The cost to have our technicians install hard valve seats starts at $225.00 (labor only, parts, canted valve and Hemi heads are an additional charge). 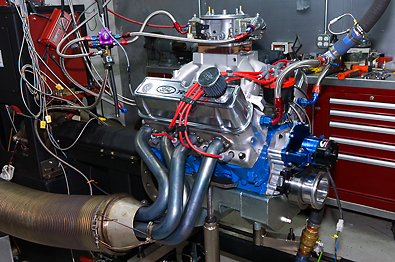 Holbrook Racing Engines utilizes the Serdi 100 HD for valve work. It features a two way air cushion system for the workhead, with a high torque 2.2 KW motor. The air cushioned table is large enough to hold the biggest Hemi heads you might have. 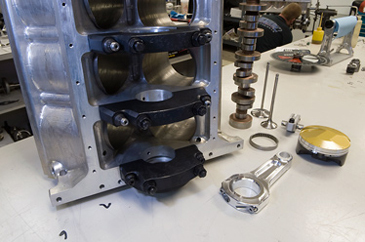 The cost to have our technicians perform a three angle valve job is $450.00 a pair ( OHV only, OHC additional).